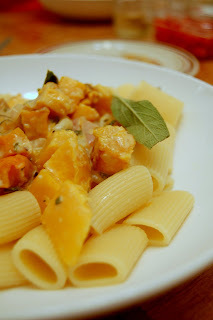 Roasted butternut squash with sage and mascarpone over pasta. 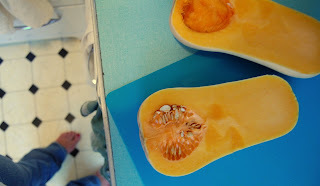 This morning, before hustling to work I haphazardly began my cooking by cutting up the butternut squash into chunks (and miraculously emerged with all my digits intact - butternut squash: not easy to cut). Anyways, the recipe: throw the squash onto a sheet pan and toss it with a little olive oil, a sprinkle of brown sugar, and some salt and pepper. 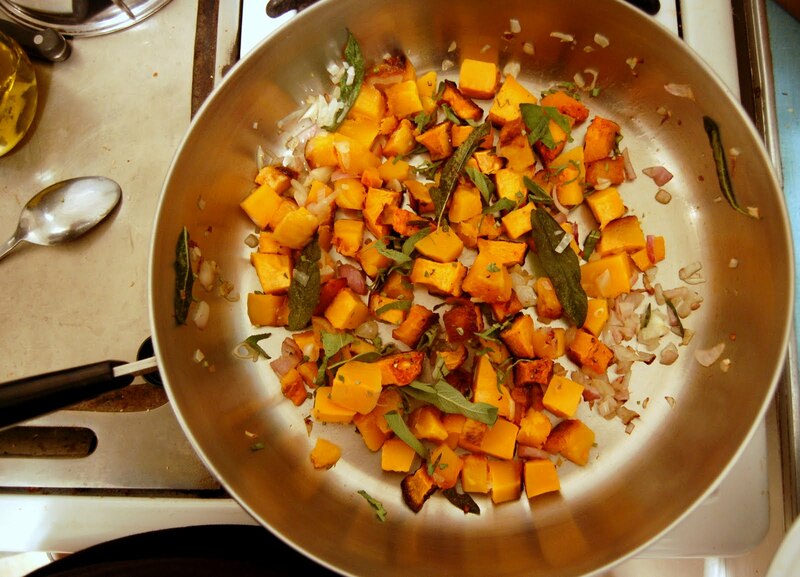 Place the squash into an oven preheated to 350 degrees for about 45 minutes. Remove the squash from the oven and allow to cool a bit. Cut into smallish cubes (whatever your preference really. 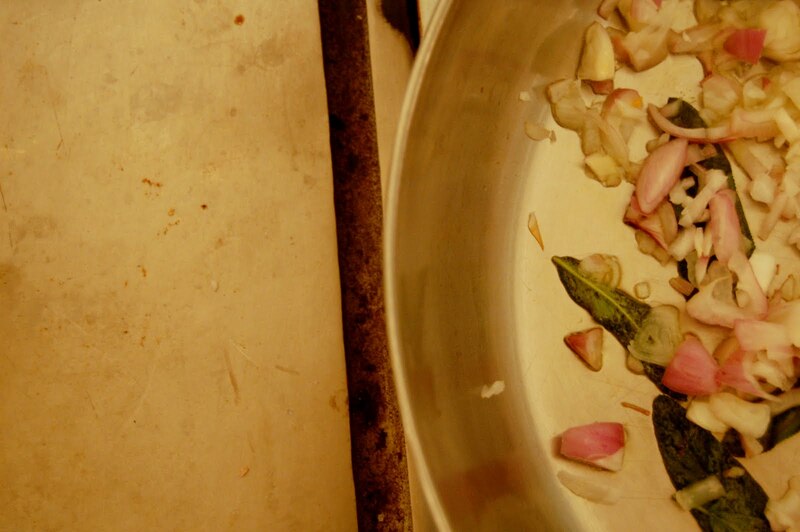 Dice one shallot. (In the meantime, put on a pot of boiling water for the pasta). Heat up about two tablespoons of olive oil in a saute pan and add in some whole sages leaves and allow to fry for a minute. Before they burn, add the shallot and saute until translucent. 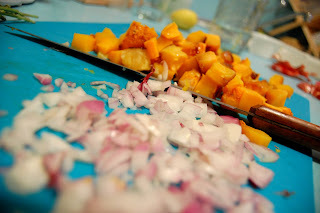 Add the squash into the saute pan. Place the pasta in the boiling water. While the squash is sauteing, add 1/2 cup mascarpone, 3 tablespoons milk, salt and pepper(to taste) into a bowl and stir to combine. As the squash is cooking add a few spoonfuls (I added about 6) of pasta water from your pasta pot. When the pasta is ready remove from heat and drain. Turn the heat off the squash and add the mascarpone sauce; stir. 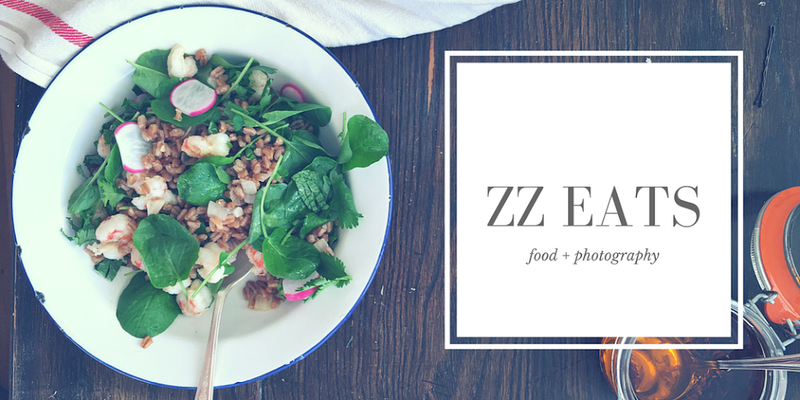 You are ready to eat! Serve with freshly shaved parmesan.